My question is: How do I visibly distinguish the two click areas while trying to stay as close to the current design as possible? I want to make it clear to the user, that, without hovering the mouse on one of the two click areas, they lead to different routes. 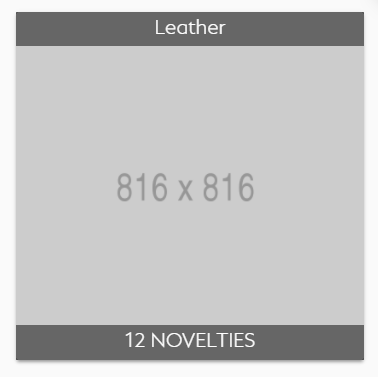 For clarity: "Leather" (click area 1) refers to a category, and "12 Novelties" (click area 2) refers to the latest twelve products in the category "Leather". 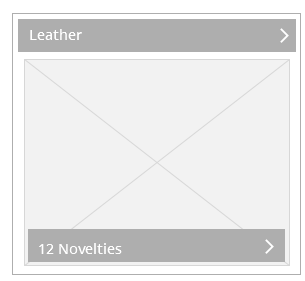 Users are familiar with chevrons at the end of list items. They know that on click it takes them to a deeper page. Not the answer you're looking for? Browse other questions tagged usability user-behavior user-expectation click or ask your own question. How do i decide how the same website behaves in two different tabs in one browser? Should I use two different icons? 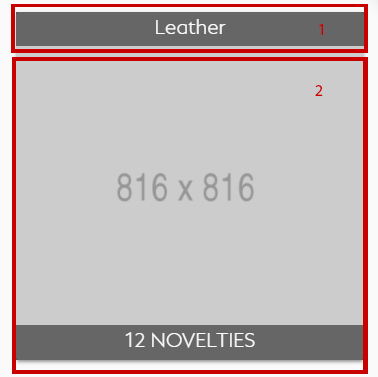 What's the best way to indicate that text is clickable? How to communicate a 'positive' result (from a blood test) that is actually negative for the user? How to let user know that they won't be charged until the last step?